Below you will find my amateur musings and reflections on Ballet BC’s Re/Naissance inaugural 2010 season with Emily Molnar officially at its helm. I attended a matinee performance this afternoon with my two granddaughters. It was the Vancouver premieres of three works by choreographers William Forsythe, Itzik Galilli and Crystal Pite. I am very glad I am not a dance critic. 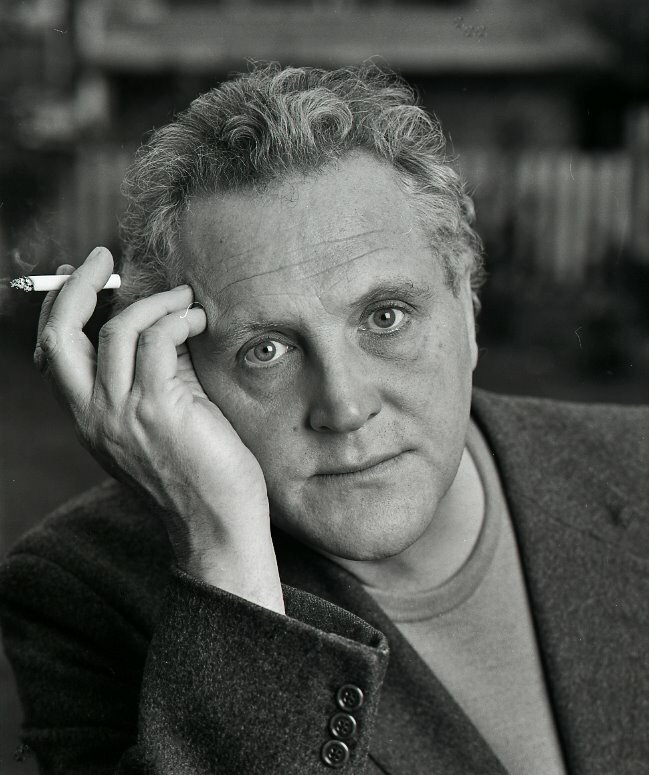 If that were the case I would have to point out that the first half of the first program, William Forsythe’s Herman Schmerman, did not affect me one way or another. It actually bored me. I looked up the work’s premiere’s dated, May 26, 1992 and came up with the purely unprofessional opinion that this is a work in which time has passed it by. But then the second part of Forsythe’s piece had that Ballet BC paragon of the classic ballerina, Makaila Wallace (ever so slightly modified, for the better and contemporary, by incredibly shapely thighs and a considerable, not quite so compact dancer’s breast) dancing a pas de deux in skirts with Donald Sales (below, centre, whose head shape would have immediately fascinated 19th Century phrenologists) and I immediately forgave Forsythe for his lapse in holding my interest. This segment was wonderful. It had both my granddaughters, Lauren (7) and Rebecca (12) laughing. Sales, who briefly left Ballet BC a couple of years ago, is back with gusto. He is carrying the ghost (see somewhere below for an explanation) of that most manly Edmond Kilpatrick. Incredibly Rebecca read the program and asked me, “Can this be true? It says here that the costumes were designed by William Forsythe and Gianni Versace.” She was impressed. 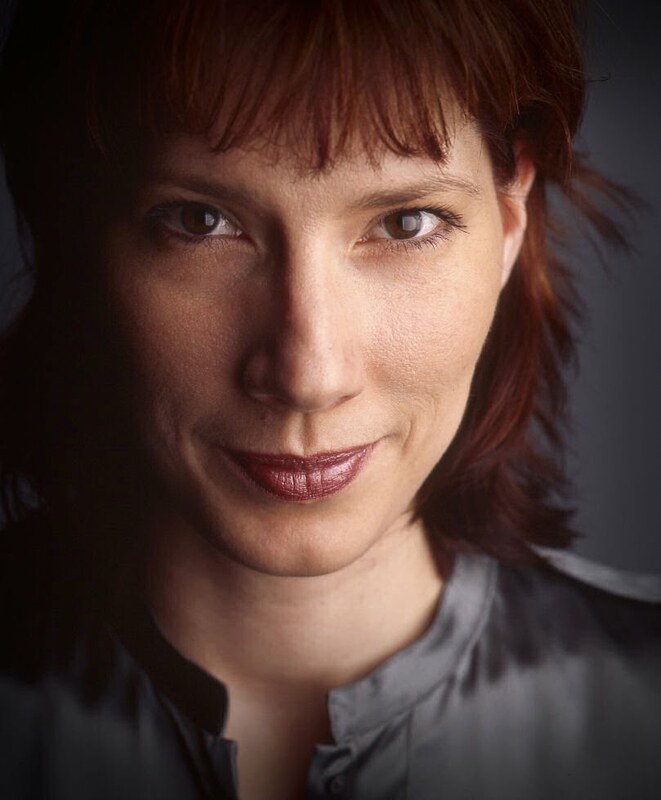 I had to point out that Emily Molnar, the new and permanent artistic director of Ballet BC has not only talent in spades but she has contacts (her many friends around the world) to whom she can call in favours. To be able to mount any Forsythe production will cost most dance companies a fee upwards of $100,000 plus first-class accommodation to a representative of the choreographer during the rehearsals period. I suspect that Molnar’s special relationship with Forsythe (she danced for his Ballet Frankfurt for some years) enabled her to have those fees waved. Again as I am no dance critic I can bring up the name John Alleyne, seen below with Crystal Pite and Todd Woffinden, and state here my purely unprofessional opinion that the man arrived at Ballet BC when little grannies went to Ballet BC shows clamoring for 19th Century classics of the stale kind. That included one number that I will never forget, it was May-pole dance! Alleyne gently pulled Ballet BC into the 20th century. It was under John Alleyne’s tutorship that I saw my first of several William Forsythe productions including one that featured artist Tiko Kerr painting while the dancers danced. I state here that a better name, and a more realistic name, for the company would be Modern Ballet BC. That's what it is. Not being an expert dance critic, I can only venture to guess that big productions like Carmina Burana and Carmen (using expensive and big orchestras and in the case of Carmina Burana even a choir) broke the dance bank. But the other side of the coin is that these productions helped to liven up the almost nonexistent crossover between those who attend dance and those who go to symphony music. And we must not forget that such Alleyn productions as Boy Wonder and The Faerie Queen featured the work of local composers and musicians in work that was definitely in the avant garde. For me Ballet BC is a study in progression. It is a progression of tradition that began “there” and is now “here” with Emily Molnar pushing BC's premier dance company into the future. We have a short memory in Vancouver. How many can remember ( I can never forget) of Molnar’s first appearance as a dancer in the company when Vancouver Sun critics were afraid to point out that Molnar was an unballetic 6ft tall girl with a body in proportion to that size? It may have been John Alleyne’s The Goldberg Variations where Molnar appeared in an extremely visible red dress. I had only eyes for the girl in the red dress. Lauri Stallings, I have ever seen in the years that I have watched Ballet BC. Stallings, of late, received a neat review from the NY Times' dance critic Alastair Macaulay for a work she choreographed for the NY City Ballet. It would seem that Alleyne had a sudden change of heart, and while he previously believed in a totally hermetic and uniform ballet company, he now saw diversity and individuality as good. Emily Molnar was his first experiment. 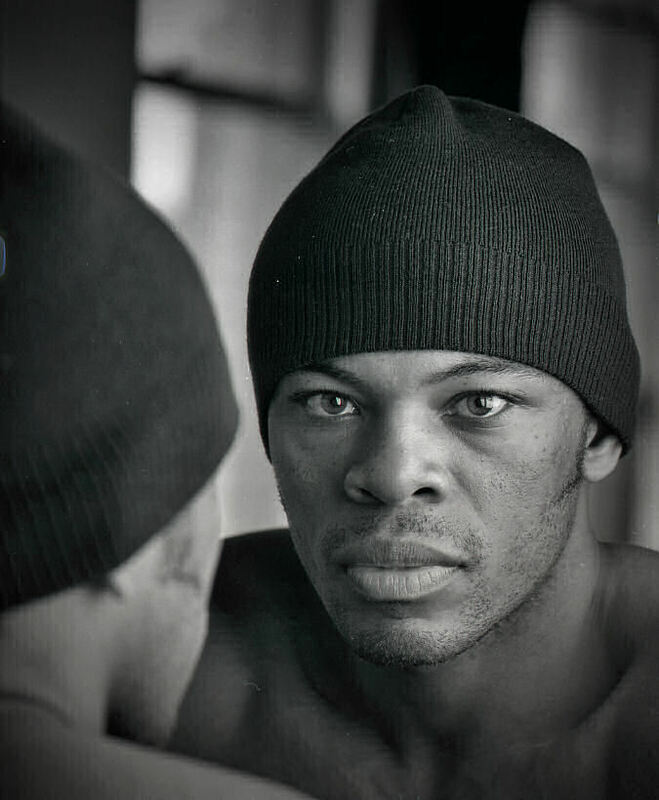 While Alleyne’s public relations (in spite of having one of the most engaging and pleasant radio voices) may have been rough at times and his temper, if I am to believe my unnamed sources, short, Molnar is all the opposite. This bodes well for Ballet BC. And there she was with a gracious smile telling my granddaughters how big they had become. It was at that first intermission that I ran into Jones Henry (below, centre). “Why aren’t you dancing today?” I asked him. “Because, I am no longer part of the company. I will be dancing in Toronto.” Not missing any of Molnar’s social skills he greeted my granddaughters with a warm smile and spoke to Miriam (my Rebecca’s billet from Quebec) in French. Miriam, 13, had never attended ballet or dance before. I am sure that after Henry’s little conversation (and one, also in French with Ballet BC's Rehearsal Director, Sylvain Senez, Molnar’s greeting and the viewing of the show from our second row centre vantage point, that she will be a new enthusiast of dance. It was Jones Henry who made me suddenly realize that Ballet BC is a tradition of ghosts. 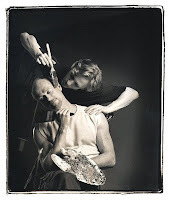 Who can forget that Polish ghost, Miroslav Zydowicz, bellow right painting artist Tiko Kerr, in several pas de deux with that other ghost (a classical ballerina) Andrea Hodge? I will never forget Lauri Stallings twirling around her lips glued to Zydowicz’s in Serge Bennathan's In and Around Kozla Street (Warsaw). I then understood that those past moves are much like the contrails that high-flying jets leave in the sky. Ballet BC would not be the company it is, or promises to be, without Jones Henry and the others I have mentioned above and not mentioned - and yes, too, John Alleyne. There is another friend and mentor of Molnar’s that has been, is, and will be a strong influence on the progress of the company. This is Arts Umbrella’s dance program head, Artemis Gordon (seen here with Emily Molnar and dancer Alex Burton). Gordon taught Molnar to dance many years ago. 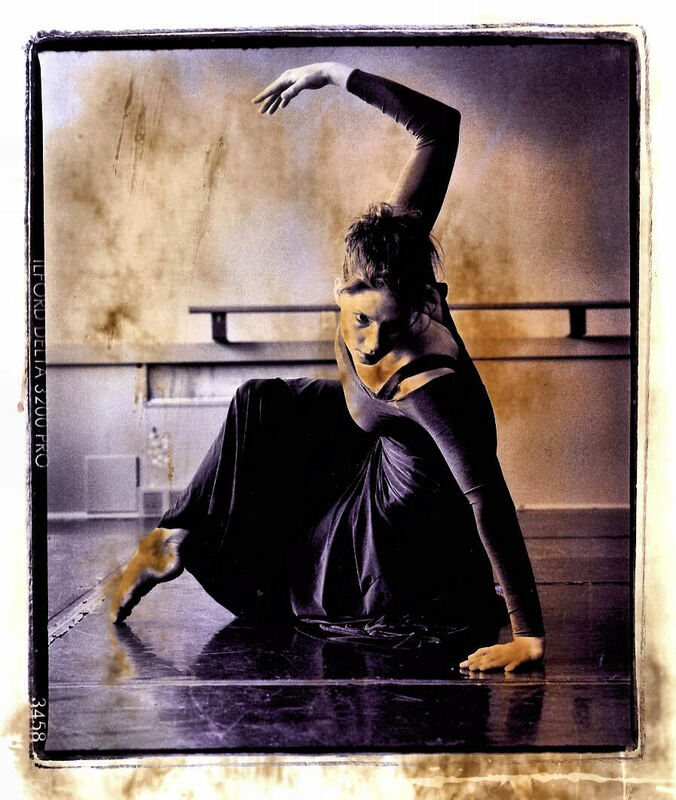 Gordon hired Molnar as an artist-in-residence on Granville Island where Molnar has inspired many to persist with Gordon’s grueling program and to continue and make dance a profession and passion of choice. I must make a small mention here that while participating at the Arts Umbrella dance program, for four years, my granddaughter Rebecca liked to watch Molnar direct the older dancers. She often used the music of Philip Glass. Weeks ago Rebecca would not miss and insisted I take her to Glass’ solo piano performance at the Chan. Molnar is that kind of an influence, as is Gordon. Gordon’s dance program is a feeder of talent to Ballet BC. Some like Acacia Schachte, not only did shine at Ballet BC, but went to shine abroad in New York. Gordon’s dance program has given Ballet BC Alexis Fletcher, Connor Gnam, Allyson Fretz and Alex Parret. While Makaila Wallace carries the classical ballerina ghost of Andrea Hodge in her, I can see that Alexis Fletcher is hard on her heels as a future Makaila Wallace ghost carrier. In her solo performance to the music of Eric Satie in Itzak Galili’s Things I Told Nobody, I was transfixed. She was superb, particularly because her body with incredibly strong thighs tears down the concept of the swan-like ballerina to the different reality of our 21st century. The swan needed the man to carry her and lift her. Alexis Fletcher is in no need of help. Fletcher, left, is not the only one who shines with that peculiar individuality that seems to be a major asset of those who graduate from Gordon’s dance program. I see this individuality in Connnor Gnam and Alyson Fretz (someday she will be the carrier of Alexis Fletcher’s ghost) seen below here with Alex Parrett top left and with Arts Umbrella dancer Caroline Kirkpatrick on the right, and perhaps in Alex Parrett when she is given meatier roles. Only an Emily Molnar would give a chance to a dancer who has yet to graduate from Arts Umbrella. This is Alex Burton who in my purely amateur opinion, will someday rise to not only carry Connor Gnam’s ghost but to be one of the best male dancers you will ever see. As an apprentice member of Ballet BC Molnar put him into the program and backstage Burton told me of the excitement he had obtained from this opportunity. When I was driving the girls home Rebecca said with much excitement, "How Alex Burton has grown! And his voice is much deeper. I guess I knew him before his voice broke." Re/Naissance ended with Crystal Pite’s Short Works: 24. As per usual, Pite showed not only the brilliance of another Ballet Frankfurt/ William Forsythe alumnus but that rare talent she has of not taking herself as seriously as some other choreographers do and gave us lots of humor. It was my Rebecca who also noticed a new and much welcome influence in her choreography. This was the influence of Native Canadian dance. All four of us had a perfectly entertaining evening and I see that Molnar may have only one problem in hand if she is to fill the seats of the Queen Elizabeth Theatre. Both my granddaughters and I think that dancers are heroes. We notice their new haircuts or the changes in their bodies. Me marvel at how they move and even in how they breathe. In a world of celebrity worship, it is time that we in Vancouver celebrate the men and women of dance. It is time that the men and women of Ballet BC be given their due. In future performances of Ballet BC I will note the presence of ghosty streaks and I will think, thank you Jones Henry for having helped make my life a more interesting one. Seen here, left, in another ghostly streak from the past is Jean Orr in the centre, Emily Molnar, Simone Orlando, below centre and Andrea Hodge in top right. After today's matinee, Rebecca (and her friend from Quebec), Lauren and I took advantage of one of Ballet BC's standing traditions of making themselves available to fans, backstage after each show. We casually entered and talked to our heroes. Connor Gnam posed with my delighted (but slightly shy granddaughters). "Do you want me to put on a shirt?" he asked us. It was Artemis Gordon of Arts Umbrella who once told me that ballet features beautiful young men and women with perfect bodies who with grace show it off to the delight of the audience. And Gordon added, "And you should not be ashamed to delight in just that." I was delighted to find out that Ballet BC is going to somehow help sponsor or work with Dances for a Small Stage. This is an excellent idea as Dances for a Small Stage is a Vancouver success story (rare in dance!). But I would gently suggest that a possible route to getting more people to occupy Ballet BC productions at the Queen Elizabeth is to get more children to attend. They are the future of Ballet BC. Because Dances for a Small Stage happen in a cabaret setting (with booze) minors are unable to enjoy them. If Ballet BC would offer up its Scotia Bank Dance Centre for at least one of the nights (or a Satuday afternoon) of Dances for a Small Stage, children would be able to attend. Today I picked up my repaired computer. It was silent and it no longer imitated the high pitched whine of the jet, the one that was flying over, outside Powersonic Computers in Richmond, on its approach for landing at YVR. While my computer is four years old it seemed new. It reminded me of an opposite situation, an evening in the late 70s in a third class hotel (the only one in the region at the time) outside the Mayan ruins of Palenque in Chiapas. I went to the front desk and told the man I needed a wake up call so I could catch a second class bus on the nearby highway that would take me to Villahermosa in the state of Tabasco where I was going to take a plane back to Mexico City. The heat was stifling and the mosquitoes were out in force. The man wiped his brow and told me, “We have no alarm clock here so you will have to wake yourself up.” I smoked a Flor de la Costa cigar to keep the bugs away. At the time I had one of those alarm watches. It was a mechanical one so the buzz was barely audible. I knew I was not going to sleep that night. I couldn’t have as the heat, the humidity and the mosquitoes would have conspired against any of my attempts at sleep. I managed to get up and walk to the highway where I flagged down a bus. It was full of Indians with their pigs and turkeys. The bus reeked of smoke. The bus ride was one of the worst in my life. It seemed that someone would flag the bus every kilometer or so. When that happened it would take long minutes before the bus with its many forward gears managed to arrive at a semblance of cruising speed. I thought I would never make it, but I did. I was rewarded by the sight of a pristine white Mexicana de Aviación Boeing 727. I was never so happy to be in civilization, a clean one and an apparently orderly one. In my years in Mexico City before I moved with my family to Vancouver, I felt that chaos was always around the corner. 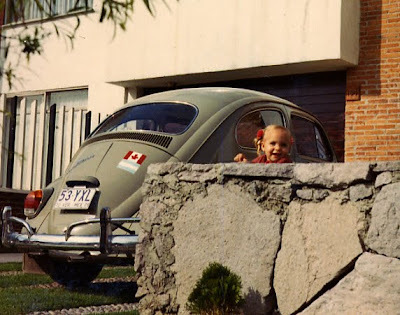 Our little house in the outer area of Mexico City was a housing development surrounded by a stone wall. The wall had been breached just after it had been built and the poorer residents of the surrounding areas would come through the breach to sell their wares and vegetables in a weekly outdoor market. Nearby my friend Andrew Taylor lived in an unbreached walled compound which had its own golf course and sentry posts with guards who carried guns. Every day Rosemary and I would drive to Mexico City on the Periférico freeway which was a chaos of bumper to bumper. We felt comfortable in the not so safe heaven of our Volkswagen beetle. We felt secure even though I knew that the big Mustang behind, riding my bumper would demolish me if I were to suddenly stop. It was then that I attached a switch to my dashboard that lit the brake lights without me having to step on the brakes. This device sometimes helped me get rid of the bumper guys. Nearer the city when traffic would almost grind to a halt, young boys and girls or pregnant women carrying babies would walk from car to car selling newspapers, chewing gum, lottery tickets. Some young men would spit out flames from their mouth after filling it with kerosene. Others tried to clean or windshields. It was sometime around 1974 when I spotted women getting into cars. I found out that they offered oral sexual services while you drove. It was then that Rosemary and I decided that Mexico City was no place for our young daughters. Our VW was the champion that transported us from our jobs to the heaven that was our home. It did it efficiently. When the car had to be serviced I begged the dealer to accomplish that task in one day. When this was not possible I depended on an extremely unreliable bus service. It was pleasant to take our VW to the dealer. We were always met by a German tech guy dressed in white who reflected efficiency and expertise. It made me relax. This feeling eventually disappeared. One day I returned to pick up the car and I was given my four old spark plugs by the man in white. I gestured him to follow me. I opened the engine compartment and pointed at the four spark plugs in the engine. They all had a little dab of Rosemary’s nail polish. That’s when I realized that the efficiency was merely a mirage. The plugs had not been replaced at all. It is in Vancouver where I learned to drive without stress. I never have to drive offensively and drivers almost always follow the directions to merge. Perhaps it may be that because I am light skinned that I am never afraid when I am stopped by a policeman. I feel safe. For years I left my front door unlocked until one day someone came in, in the middle of the night and carted off my stereo and CD collection. But all in all I mostly trust the people I deal with in Vancouver. And this is never more so when I visit our Audi dealer in Richmond for service to Rosemary’s leased A-4. The coffee or hot chocolate is free, the magazines and the newspapers are there for us to peruse and if the wait exceeds the promised one we are given a loaner at no cost. When I picked up my sleek looking, but old computer today, I felt again that sense that all was well with in the framework of my universe. The computer is not a gadget I am excited about. It enables me to secure some work and to write this. With my computer on one side of my Edwardian desk, my world is secure and in good order. I cannot ask for more. I have no computer as the folks at Powersonic are removing the partition of my hard drive so that the operating system will have more breathing room. This blog is being posted courtesy of Rosemary's lap top. I find it very difficult to type on the keyboard. So to make it easier for myself I am including a blog here that has relevance to yesterday's events. In about five days I will receive a small package by courier. In it I will find my new iPhone. Those of you who know me in person must beware that know I will have the modern day version of the grandkids' photos in my wallet. I wonder if Aurelio Zen might have approved. It was sometime in mid 1962 that I first heard, on the radio, Stan Getz and Charlie Byrd’s album Jazz Samba. The sound was as fresh, as new and as fantastic as I ever heard. I went to my local Mexico City supermarket (and yes, they sold not only records but had an excellent jazz section) and feasted my eyes on that beautiful record cover with the oranges the yellows and the whites. I bought it and took it home. I impatiently removed the cellophane wrap. Listening to it was complete and instant happiness. To this day I can still feel that thrill every time I play it. In the late 70s I would tell Rosemary that I absolutely needed to buy a 140mm macro lens for my Mamiya RB. Rosemary without completely understanding my photographic needs was always supportive, “If this will help you in what you do, get it, by all means.” So I sent a money order (there was no international on-line buying yet!) to a New York camera store and I impatiently waited for weeks for my lens to arrive. I remember paying some sort of import duty at the main post office and then I was given a brown cardboard box. Inside was a beautiful and shiny box (as only the Japanese knew how to make) and when I opened it there was my lens in all its glory. I felt that excitement that now all was possible with my camera equipped with such a lens. Now in 2010, on a Thursday, April 12 (I am posting yesterday's blog today) my cameras and my other photographic equipment show the signs of extreme wear. I can use them without even looking at them. They are part of me. But somehow there is no excitement. I own everything I need to take a good photograph. No new gadget will improve on what I know how to do. It may have been about three years ago that Rosemary and I ran into Steve Whysall at VanDusen. He said to us, “I want to show you something.” He removed a device from his shirt pocket and on the small screen. An image appeared. He then magically made it bigger with the tips of his fingers and then made it go away to replace it with another brilliant picture of a plant from his garden. The show went on. We were mesmerized. Rosemary’s mouth was open and there was a rare smile on her face. I felt like an Amazon jungle native with a blow gun in my hand watching magic. The device that Whysall had in his hand, held the promise of a Jazz Samba, a 140mm macro lens, a brand new Nikon FM-2. I pay about $50 a month for my ancient cellular phone. It works as a phone and it even has a wire headset that in an emergency enables me to answer the phone in the car. 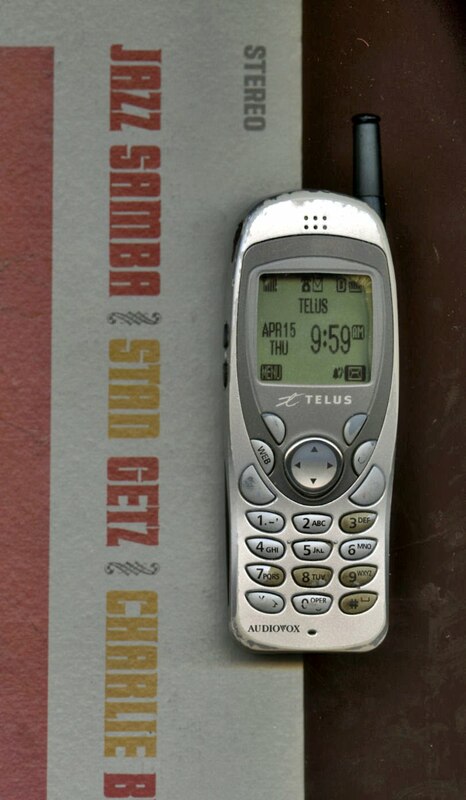 I do not pay extra for call display and I ignore my primitive phones strange ability to connect into the internet and to accept and send texting. I do not even have the phone programmed for numbers that I call a lot. I know that I can secure a three year contract with Telus, pay $99 to purchase an iPhone and still only pay $50 a month. I am tempted. Do I need a gadget? Will it make my life a better one? It’s not like I am going to receive an anxious phone call from a New York City art director proposing to send me to New Guinea to shoot some portraits. If the phone rings it will be Rosemary or Hilary or my friend Ian. Perhaps an iPhone is what I need to re-live that first moment when Stan Getz and Charlie Byrd played that magical Desafinado. And I can even find it in that iPhone on Youtube and play it and make believe I hear it for the first time. Is that possible? Will it work? Does a 67 year-old need a new gadget? When I was 8 I would ride the Bartolomé Mitre electric train which my mother and I would wait for at the Coghlan Station, four blocks from our Melían Street house. It was a relatively short ride to the next station, Belgrano R where we would get off and my mother would walk me to the American Grammar School and then she would walk back to the American School (the high school) by the station. 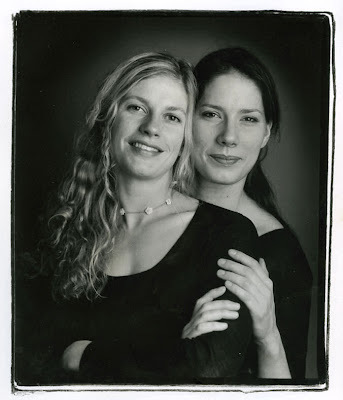 Some days she must have had to stay at school for some reason or another so a student of hers would plunk me into the train and I would get off back at Coghlan to the sure arms of Mercedes, our live-in maid. More often than not she had a surprise for me. It was always the same surprise. It was a close Argentine copy (but better!) of a Revello bar called a bombón helado Noel. 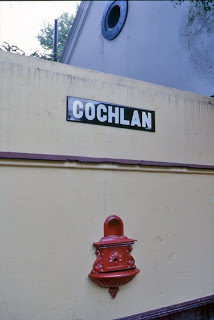 A few times, for reasons that I cannot explain, the train would not go to the Coghlan Station but take a left fork (there was a switch on the tracks before arriving at Coghlan), that would deposit me at an ill-sounding station called Drago. Happily Mercedes always caught on and she would rapidly run the few blocks to find me crying my eyes out. This memory came to me when I picked up Rebecca on Monday at 1:30 P.M. She had not gone to school because a bad cold had given her pink eye. Her school, while tolerating coughing and sneezing, will not abide by pink eyes. They always send the offending students home. Rebecca’s mother, Hilary, had kept her home. I picked her up. On the way to my house I decided to spring a surprise on Rebecca. I parked near, Kaplan’s, the Kosher-style restaurant on Oak and 41st Avenue. Rebecca smiled with pleasure. We ordered our usual. This is the smaller half sandwich of Montreal smoked meat which comes with coleslaw and a pickle. We sip a delicious imported (from the US) cherry flavoured soda. Rebecca likes her sandwich plain. I slathered mine with honey mustard. Rebecca knows that if you want to be truly Kosher (neither of us are Jewish but we like to make believe) you never mix anything milk product (butter or perhaps mayonnaise) with meat. I explained that my Jewish neighbour friend Robert Freedman, says you have to eat Montreal smoked meat with mustard. Rebecca tried a tad and soon she was happily imitating her grandfather. 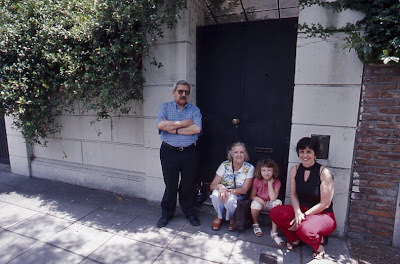 Rosemary, Rebecca and I traveled to Buenos Aires in 2004 and we visited (we got as far as the front door) of my old house on Melián 2770 after we had taken the electric Bartolomé Mitre train from the huge Retiro Station in downtown Buenos Aires. We had gotten off at Coghlan. Here I had felt lots of emotion and nostalgia for moments of my life which would never return except as memories. I was much too affected by it all to take any pictures of the station, except a few terrible colour slides and the panoramic you see here I took on a previous trip in 1995. The station somehow felt smaller and the long walk home, of my childhood was just four blocks. We were accompanied by my poet friend Rubén Derlis(also in panoramic above) and his girl. When the train was just about to get to Coghlan I noted the fork and the noise the train made at the switch as it avoided going to the ill-named Drago and stopped in the comfort of what once had seemed to be home, Coghlan. At Focal Point where I have been teaching in the last few weeks I have been experiencing the strange setup where a class of about 16 students is divided. I teach on half in the morning and then in the afternoon I teach(the same course) the other half. Since the complete class of students is there all day I sometimes get confused as to who is where. During a break in my afternoon class a few days back, I was sitting, sipping coffee and two of my students were near. One told the other, we better get back to class. I thought to myself, “That’s silly, since as long as their teacher is within sight they don’t have to worry about missing class.” Then I understood that these two young women were from my morning class and they were wanting to return to their afternoon class with another instructor. 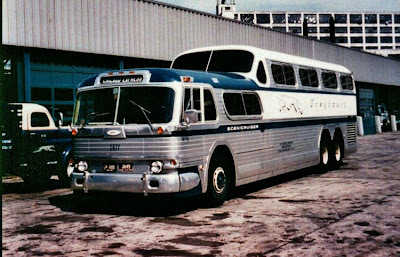 So I told the young women the story of my going by bus from Mexico City to San Francisco around 1967. At the time I had the crazy idea that I was a hippie and I had my hair down to my shoulders. I wore a surplus US Marine Corps jacket with a red peace sign on one of the large patch pockets. While in the Mexican bus people stared at me and whispered at each other. For their benefit and to promote my distorted mystique I read and re-read an issue of Ramparts Magazine that my friend Robert had sent me from San Francisco. It's psychodelic cover was unfathomable and inscrutable swirls of colour. 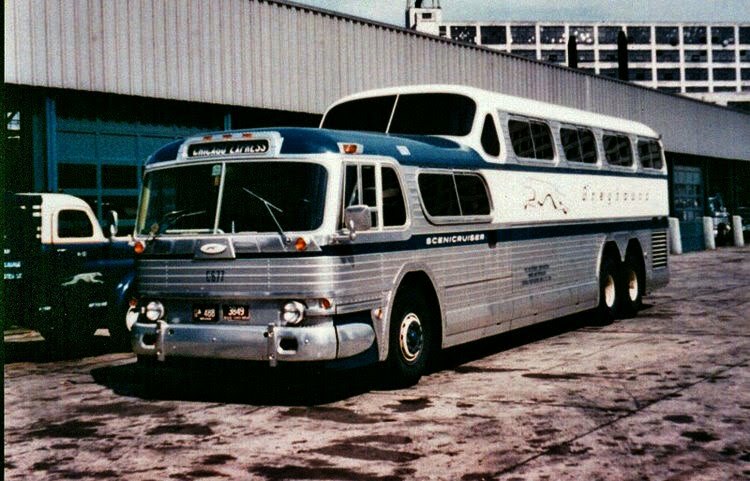 When the Mexican bus deposited me in Tijuana I had to switch to a Greyhound Bus. In San Diego I had a sandwich and I sat next to the bus driver. He was not too communicative. He did not feel comfortable sitting next to a man with long hair even though I took daily baths when I could. The bathrooms on the trip had been so appallingly bad from Mexico to Tijuana that I had used the logic that if food in, meant food out, the solution was not to eat. So in that almost one day and a half bus trip I ate nothing. For the record I must clear the air here and assert that most of my life I have done my damndest to somehow lose control of my ever present and boring sobriety. The few times that I have imbibed liquor I have bypassed drunkenness and gone directly to a hangover with an immediate shift to migraines so terrible that I knew that spirits of any kind and I were never to be bed fellows. My attempts of having a couple of cool and dry pear ciders in the afternoons some Raiway-Club-years back did not end in languid siestas but in terrible wide-awake migraines. People who have known me in the past, have thought that I was much too straight and controlled so they have given me pot and hashish. All this stuff ever did for me is to make me stutter without me losing one bit of reality. I was given peyote, purchased at a Mexican small town market by friend who then watched me while keeping notes. "Are you feeling anything yet?" All I managed to do was to throw up on them while firmly staying on terra firma. And only once some moons ago a fat woman at Gary Taylor’s Rock Room came up to me and said, “I like you. Open your hand.” She deposited a white powder. I did not know what to do. The woman gesticulated with her hand and nose and I caught on. Up it went. She returned a few minutes later and asked, “So do you like the stuff?” I told her, “I feel like I just went up the exit stairs of the Buenos Aires Subte (subway) in mid summet to breathe a fine rush of cool fresh air.” She looked at me, pursed her lips downward and went away. The above is to certify that this long haired man was cold sober and under no influence of any drugs when he missed his Greyhound Bus. I was able to take another bus and got to Los Angeles. I was exhausted. This time I made sure and watched the bus driver like a hawk. But my exhaustion prevented me from understanding again that this driver had also been relieved and I missed my bus again. In the end I got to San Francisco and did meet up with my luggage. The few weeks that I lived in the Haight-Ashbury district of San Francisco, where many around me walked and lived under the influence of stuff that made reality feel different, I felt that I had experienced a similar situation without supplementary help. In 1982 I was not yet a Canadian citizen and the play did not involve me emotionally. At the opening of the play two weeks ago which I attended with Rosemary it was all different. I understood what was going on. I could feel the pride of a Canadian (that’s me!) in learning that our backwoods guy had topped the best that Rugby and Eaton had mustered. 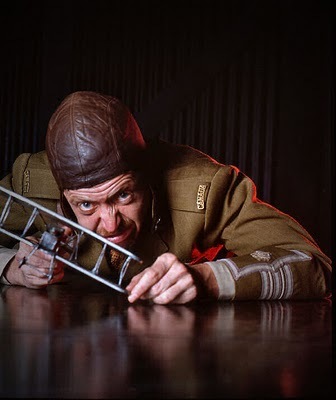 I was convinced in this second experience of Billy Bishop Goes to War that the play had something to offer my 12-year-old granddaughter Rebecca. I was not wrong. It is beyond me why with the exception of a Ballet BC matinee or a Nutcracker performance at Christmas time, I never see too many children at the theatre or at the dance. Consider that buying a ticket for Billy Bishop Goes to War bypasses the thugs of Ticketmaster. Increasingly other theatre companies including the Playhouse are resorting to their own private ticket selling schemes so you never have to deal with surly vendors. Consider that Canadians (as a late blooming Canadian I put myself as an exception) want to sit at the middle of the middle. These are the tickets that often are not only expensive but sell out quickly. Besides in those seats you cannot hear ballerinas gasp for air. Why would you want to miss this thrill? Our two tickets to Billy Bishop, second row in the middle, cost us $50 in all. Perhaps there was a discount because I am an old codger and Rebecca is 12. The fact is that our seats were excellent and the price manageable. The young woman who answered the phone at the Arts Club Box Office was friendly, polite. I never had the impression that I was helping support a Hell’s Angel by buying tickets. Contrast this experience with the thug-like folks at the Chan Centre. I took Rebecca to see Philip Glass last week and had to buy tickets through Ticketmaster, “I am over 65 and my granddaughter is 12. What will our tickets cost?” All tickets cost $50, take it or leave it,” is what I was told. When we got to the Chan I could at least tell myself that the outrageous price for a child (and I do believe that Rebecca was the only child in the sold out performance) included free parking. I was wrong. Now you must pay $7.00. Early Music Vancouver is able to sell reduced tickets for minors (or they have a policy of a child is free if an adult buys a full ticket) and when the venue is the Chan you simply order the tickets(this must be well in advance) Take that you Chan/UBC thugs with your one-price-fits all! The Pacific Baroque Orchestra (which intelligently avoids the Chan Centre) has a similar policy to Early Music Vancouver. A minor (I do believe to an under 18!) goes free if accompanied by a paying adult. 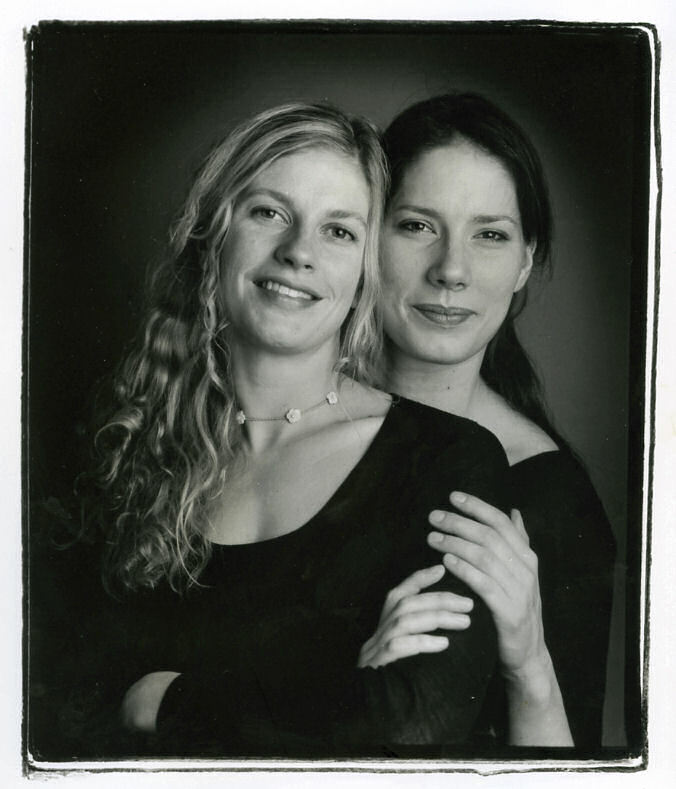 And to the many concerts I take both Rebecca and Lauren (7) I rarely see other children. It does make sense that the aging population that goes to the theatre, and which seems to be it biggest audience, it would be financially counterproductive to give seniors a deep discount. But to give children no discount at Chan performances smacks of out an out Dickensian Capitalism. Going back to more cheery things I must state here that Rebecca thoroughly enjoyed Billy Bishop Goes to War. She has been going to theatre since she was 6 so the habit breeds understanding, interest and passion. Rebecca understood the show well. I told her that the Lewis gun was an American invented machine gun that the British used on their planes. Rebecca immediately asked me what gun the Germans used. I did not know at the time. It is only now that I can explain to her that the Germans had the Spandaus LMG (light machine gun) which was really a modification of the also American Maxim gun. Rebecca understood the difference between biplanes and monoplanes. I told her about Vimy and how the British treated colonials. That was enough. Meanwhile there is not a chance in hell that children will all show up simultaneously at a performance of Early Music Vancouver and create a problem that would in my mind be as delicious as the chocolate bars and candy that are not sold at the theatre. This is one suggestion (and perhaps, too, packages of lemon flavoured Fisherman’s Friends) I throw at the folks of Vancouver theatre companies. We former Argentines would never think of going to the theatre without chocolate in our pockets! The coat check gals at the Queen Elizabeth have always known this. They sell chocolate. The photograph above features Eric Peterson who was in the original cast of Billy Bishop Goes to War. I took the picture in 1982.